This guide covers the history of the creation of the National Library Symbol and provides links to images of the symbol that can be downloaded. One of the original uses of the National Library Symbol was as a guide to help people find the local library. Libraries wishing to request a library symbol street sign for placement within their community or neighborhood must contact their own state's department of transportation for instructions and criteria. The purpose of a national library symbol is to increase public awareness of libraries through widespread use of a standardized symbol on library directional signs and promotional materials. 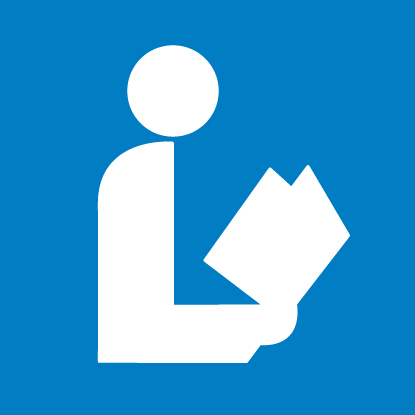 The symbol is designed primarily for use on exterior library signs appearing on streets, highways, campuses, and buildings; but it can also be used by individual libraries on newsletters, posters, booklists, library cards, bookmarks, letterhead, and other promotional materials. . . The symbol triggers instant recognition of a library through a graphic representation that people instantly associate with libraries--the book and reader. It does not attempt to capture the essence of the modern library or represent the range of its resources. In the task force's opinion. this would be impossible to do in a clean. 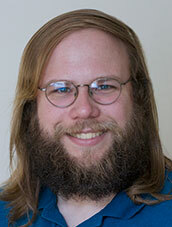 easily recognized image. Once the public is cued to the presence of a library by the basic symbol, additional symbols, signs, and promotional materials can be used to further educate users about the full range of library resources. The full text of the original ALA Council resolution adopting the National Library Symbol. 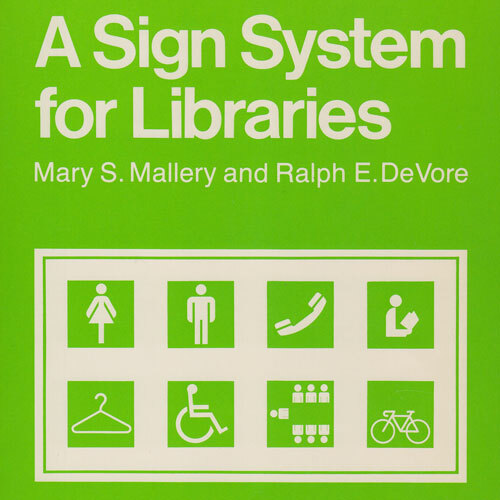 The National Library Symbol was first designed in 1978 by Ralph E. DeVore of the Western Maryland Regional Library, and its first official appearance was in the 1982 ALA publication A Sign System for Libraries. The ALA Council endorsed the symbol, upon recommendation of the ALA Presidential Task Force on a National Library Symbol, at the 1982 ALA Annual Conference. The Task Force had specifically sought a standard symbol that could be used to identify all types of libraries, hoping to increase public awareness of the institution of libraries through the symbol's utilization on library directional signs and promotional materials. In March 1985, the Federal Highway Administration accepted the symbol for inclusion in the Manual on Uniform Traffic Control Devices; it made its first appearance in the revised (4th) edition of this publication, which was released one year later, in March 1986. Federal Highway Administration page showing the National Library Symbol. 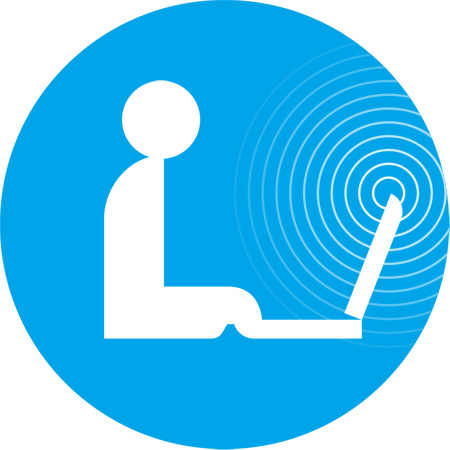 This 2009 laptop version of the National Library symbol is freely available in three sizes and in both blue and black versions. The ALA Office for Research and Statistics commissioned it from designer Brian Benson for use in the Libraries Connect Communities 3: Public Library Funding & Technology Access Study 2008-2009. Please note that this 2009 laptop version is not a replacement of the National Library Symbol. Any and all references to a National Library Symbol do still mean the 1982 logo with the book. The laptop image is meant to reflect the use of technology in libraries as outlined in the Libraries Connect Communities 3: Public Library Funding & Technology Access Study 2008-2009 but nothing more. Please do not hesitate to contact the ALA Library with any further questions. Many library vendors offer the National Library Symbol imprinted on adhesive labels, mugs, flags, note pads, and similar items. Such uses help to reinforce the meaning and fulfill the original purpose of the logo. The National Library Symbol is available in a number of formats, and is free for all to download and use. The original National Library Symbol design used a blue (specifically PMS #285) background with an opaque white silhouette. However, many variations of the design using different colors can be created with graphics programs.